According to the findings reported in the Kaufman Hall 2017 State of Consumerism survey, many healthcare organizations have missed the mark on delivering a positive patient experience. Seventy-two percent of the 125 hospitals surveyed fell within the bottom tier for patient billing efforts, and only 3% ranked in the top tier. On an up-note, though, there is no lack of interest in improving, as the findings also show that 90% of healthcare organizations realize that enhancing the patient experience is important to their bottom line. Knowing where to start is always the hard part. Here’s one suggestion: speech analytics technology helps revenue cycle leaders easily understand how patient representatives interact with patients on a daily basis. What better way to make an impact on the patient experience? Speech analytics is a cloud based software solution that automatically records 100% of patient interactions for monitoring, scoring, and analysis. Capturing the patient financial experience completely offers valuable insight into your revenue cycle operations and aids in maintaining HIPAA and HITECH Act compliance. Implementing speech analytics into a functional quality assurance program can be a daunting, time-consuming, and highly complex task for healthcare organizations that requires both technical and operational expertise to produce successful outcomes. But it’s well worth the effort, as a well-integrated speech analytics platform serves as a natural complement and enhancement to a self pay technology stack with exemplary patient experience as its end-goal. Since Speech analytics technology records, monitors and analyzes all patient interaction calls — scheduling appointments, care follow up, billing inquiries, collecting payments and more — it’s easy to adhere to best practices, reward positive interactions already taking place, and identify areas for patient representative training. Powerful search capabilities set this technology apart from standard “call record” features typically found in other solutions. It isolates keywords (skipping through the call to each incidence), detects the sentiment of calls and alerts team supervisors to escalated calls timely for service recovery. This technology brings both “negative” and “positive” patient interactions front and center. Further, speech analytics makes the quality assurance assessment faster, easier, and significantly less subjective. It provides insight for continual — and even immediate — representative education and coaching. And by boosting representative effectiveness, the patient experience improves. Speech analytics software automatically redacts protected health information and specific billing information for PCI compliance. This also ensures compliance to the Telephone Consumer Protection Act (TCPA) and the Fair Debt Collection Practices Act (FDCPA) and protects patient privacy and financial rights. Are your business office representatives making the proper disclosures and informing patients of their rights? Are they verifying patient information before data is released and confirming the person on the phone is authorized to receive the information? The key to consistently adhering to all compliance guidelines is identifying in real time when a breach occurs or even a potential compliance issue and resolving it quickly. Since speech analytics automatically records and indexes all patient interactions, it’s easy to comply with audit requests and provide proper, timely documentation. Dive deep into the features and benefits of speech analytics software and you’ll uncover a data set that is real-time and delivers actionable information. It can quickly identify both large and small scale trends as well as provide quick-turn quality assurance scorecards. Revenue cycle leaders want accurate data that can be used to drive efficiency and quality — which is a key factor in the success of a positive patient financial experience initiative. Your patients call the business office for countless reasons that often go beyond simply paying their bills. Often patients are confused between facility and physician charges or have questions that their insurance providers did not answer. 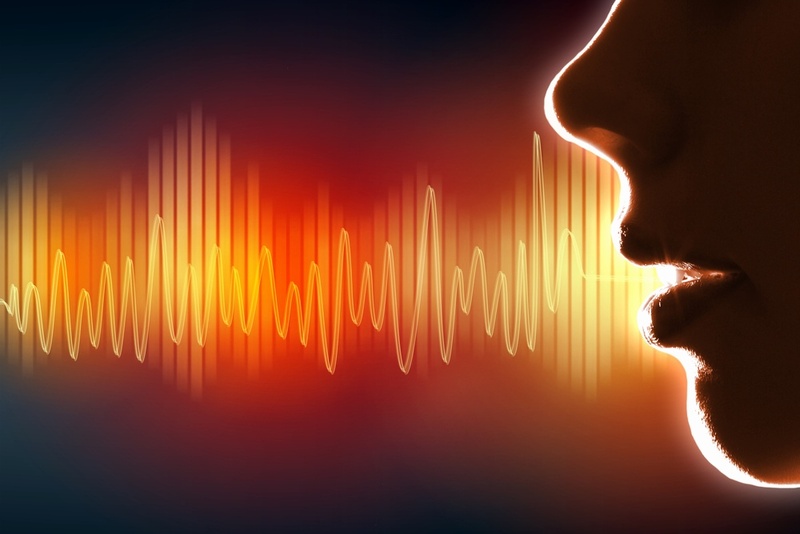 Speech analytics can, within a subset of completed calls, analyze the initial motivation of why the patient reached out, along with the final outcome of the call to identify recurring trends. This can help revenue cycle leaders with issue resolution and goals/strategy development. Identifying this information allows a window of insight that normally wouldn’t be discoverable, and this is a great way to track the initial reasons for patient calls. The speech analytics system helps identify high level call trends and can drill down into the metadata for more specifics if necessary. This allows new insight into the “big picture” all the way down to the individual call. For example, search for the word “credit” and you’ll be given a list of calls along with how many times the word was spoken by both parties. An influx of credit balance calls may mean a larger system issue rather than a one off occurrence. 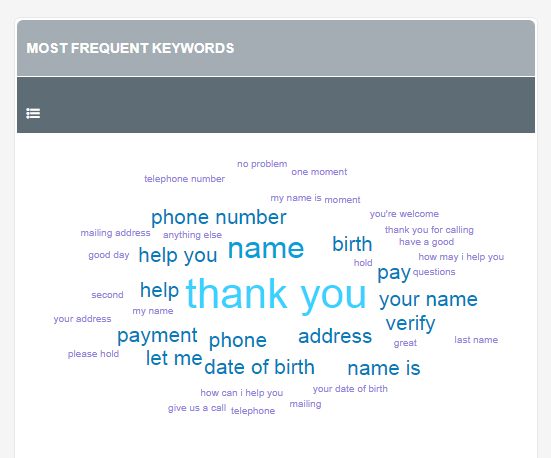 The keyword analysis solution automates processes and speeds up issue identification. Clueing into widespread issues quickly is a huge advantage in your patient pay program — even if there is a billing issue that cannot be easily resolved, arming representatives with knowledge allows them to ease patients’ worries. Quality assurance alone is a full time job. QA analysts look at the whole picture when analyzing and monitoring calls, ensuring HIPAA compliance is met along with positive tone, hold time, accuracy of information and proper resolution. The thoroughness of the process drives the representative education component, and with Speech Analytics each and every call is available to be scored. Like any technology, Speech Analytics is a tool and doesn’t replace the human touch. Our quality assurance analysts still track representative follow up items and listen to a large number of patient calls per month. Since infusing speech analytics software within our patient pay division we have seen increased efficiency in our quality assurance process. It’s clear that healthcare organizations have a strong need to improve the patient experience, and a technological solution like speech analytics software can make a huge, positive impact, not just on your patients, but also on your revenue cycle performance. Look for an outsource partner who has invested in an entire suite of technology tools, like speech analytics, to help you win at patient pay. 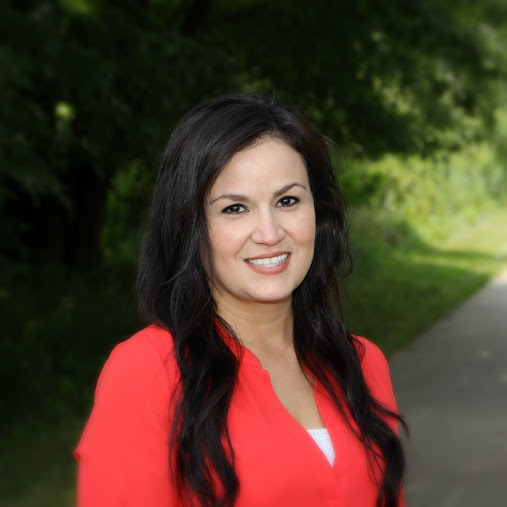 Judith joined MediRevv in 2012 and has held several roles throughout her tenure. As Senior Quality Assurance Analyst she provides excellent customer service and support for our team and clients while employing tactics to uphold our company vision and impact our bottom line. She is responsible for performing routine account reviews to identify additional training opportunities for the MediRevv team.